Submitted by Eurgiga on 2018-10-25 11:31. 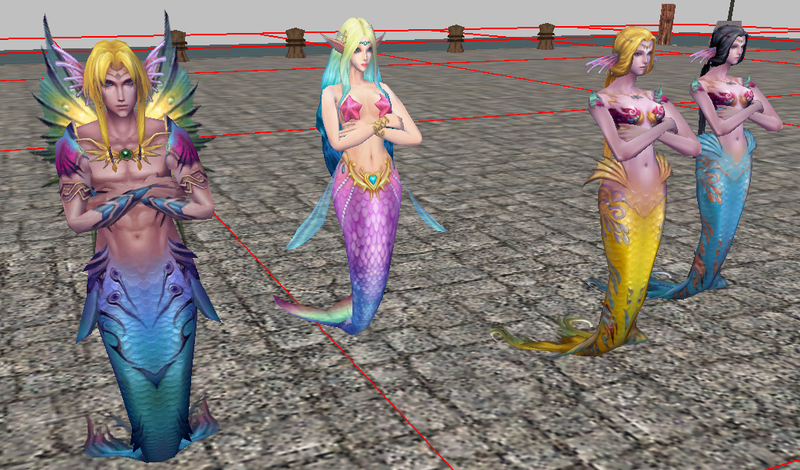 Four new mermaids (Three models, one palette swap) for your module. Uses the air elemental animation set. Great models! Love the detail. It is strange that I can't unpack it. Tried with 7zip and WinRAR, but doesn't work. Can you fix your compression or something? Try updating to the latest versions of those programs. Most people with a "can't open it" problem have been using truly archaic versions of (usually) 7zip, winrar or peazip. Whoa! 7zip from 2015 is archaic? Guess so, cos your suggestion fixed it. Thanks! 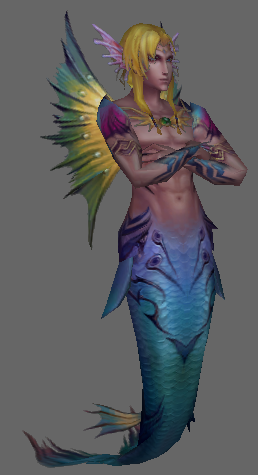 Btw do you plan on releasing more content from Sigil Planar Legends? Any content I create or convert I try to post to the Vault, yes. Now I shall slice and dice, and make something nice with it.